What is the key to having a higher success rate for accomplishing your personal and professional goals? What drives the decisions you make? What does not change in life except for their priorities? What impacts whether something resonates for you or causes a feeling of dissonance in your life? The answers to these questions sum up your Values. 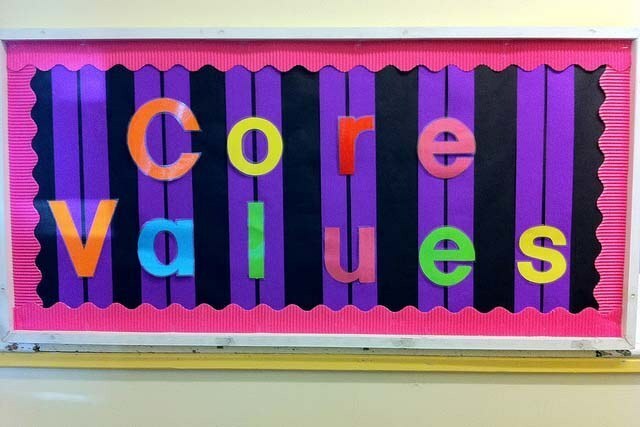 Values help define who we are. They point us in a direction that, if we choose to follow, can lead us to discovering our life purpose, accomplishing our goals, and finding what we are passionate about. For example, for me, the value of freedom means independence, financial independence, and doing things on my own. For someone else the value of freedom can mean patriotism, the flag, or our military. Check in with each other. It is a fun way to connect and often an enlightening one. Our values are our principles or standards of behavior. They are our judgment on what is important in life. They are principles that we hold to be worthy. Our values represent who we are right now. They are not chosen. Our values are intrinsic. Here is a word of caution: Often we internalize our parents’ rules and values. For that reason, it is important to look inward to be able to distinguish between our parents’ values and our own. Spending quality time to get a better grasp of your values, interest, personal style, and skills will allow you to better assess your personal and career wants and needs. Ultimately the assessment process will allow you to make better-informed decisions and judgments on situations in your life, be they big or small. Our choices and decisions are made easier when they are in relation to our purpose, values, and what is important to us. Here is a tip if you are currently seeking a job. Understanding your values will be helpful. As the interview proceeds, make sure to listen for the values of the interviewer. In order to be truly happy in the workplace, the organization’s values must be aligned with and support your personal values. Otherwise, the variance will create a feeling of dissonance in you and the prospective job may not be a good match. For example, if you are working with someone who is not honest, and one of your core values is honesty or integrity, it will create a feeling of dissonance for you that you will actually feel in your body. The reason is that person who is not honest is “stepping” on your values. Or put another way, this individual is violating what you believe in. Such a situation is not likely to produce a positive outcome. Remember: When you know your values, you can draw on them at any time to help you make decisions, determine what your priorities are, and guide you to the best direction for you and your goals.